Being physically active was always a great part of my life. I’m that type of person, who gets involved into a new workout easily, goes mental about it, spending all her free time exercising, until one day she wakes up with a new fitness obsession. I was one of the first girls in my country to try parkour, then there was aggressive in-line skating, where I was competing on a national level, I used to dance until I couldn’t stand anymore, I was in pole sport (and probably my best shape ever), in cycle-studio, in taekwondo, oh and I nearly forgot that epic alfa gravity classes(you just HAVE to see me in this awkward pose! )… Trust me, the list is endless! But the main idea is – I love being active! And I think, unless you’re aiming to call yourself an elite athlete (which I definitely never was), there is no need to stick with the same routine for too long. 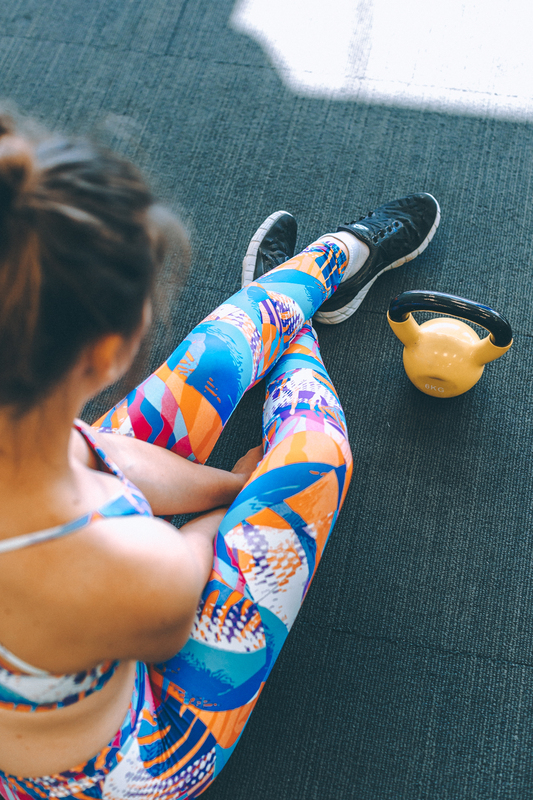 There are so many fun, unusual, effective workouts these days, so why limit yourself to only one? 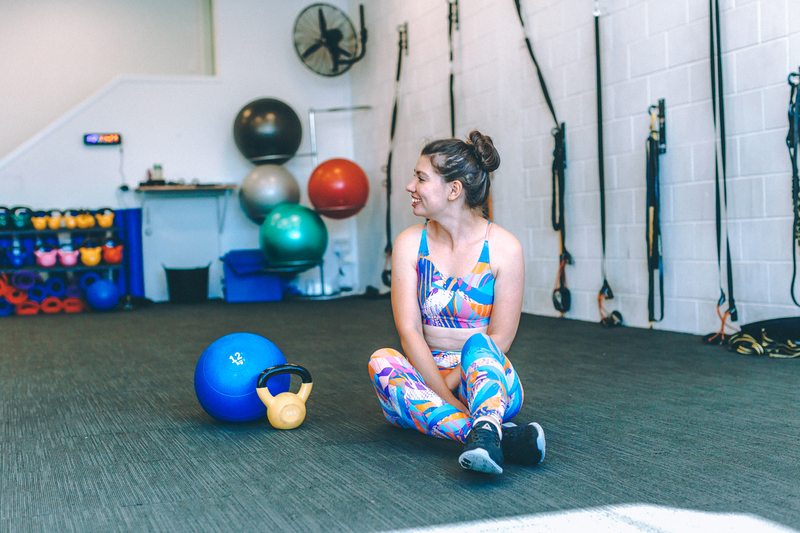 I enjoy trying something new every other day and there are some fitness classes in Tauranga that I’m really into at the moment. But besides that thrilling joy of trying something new, listening to your body and feeling how it adjusts to the new routine, there is also the wonderful perk of having an excuse to buy new activewear every time you’re about to make a glorious appearance at a new fitness studio. Seriously, if there is something sporty I’m obsessed with more than experimenting with the workouts, it is workout outfits! Once me and my bestie in Moscow even signed up for a crazy trail run along the high hills because they required special trail sneakers. And I never had special trail sneakers! How could I miss that awesome opportunity to finally adopt a cute pair in bright green that has even travelled all the way to New Zealand with me? 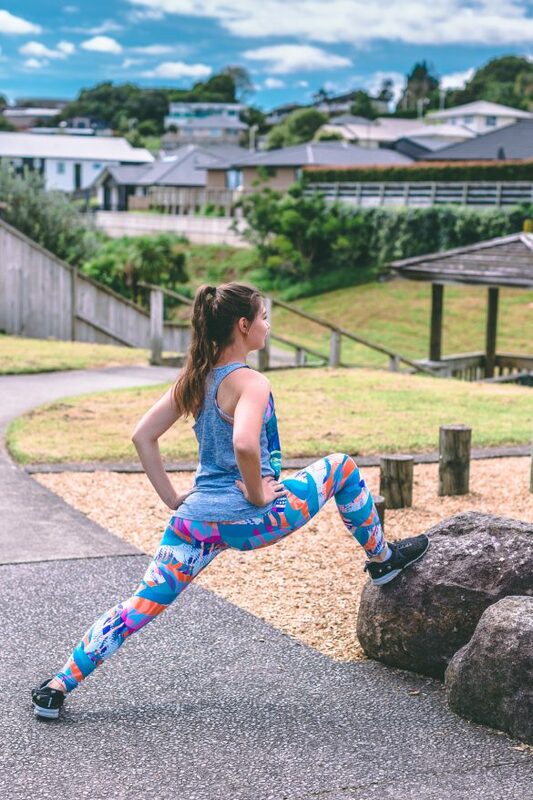 It comes as not surprise, that as soon as I have discovered we have our own, Tauranga-based sportswear brand Zeenya, I needed their leggings like right now! The fact that they are actually extremely comfy, soft and gorgeous wasn’t even that important at the moment. Well, def not that important as that waistband covers your food-baby belly perfectly whilst kept up. I’m happy they didn’t disappoint! 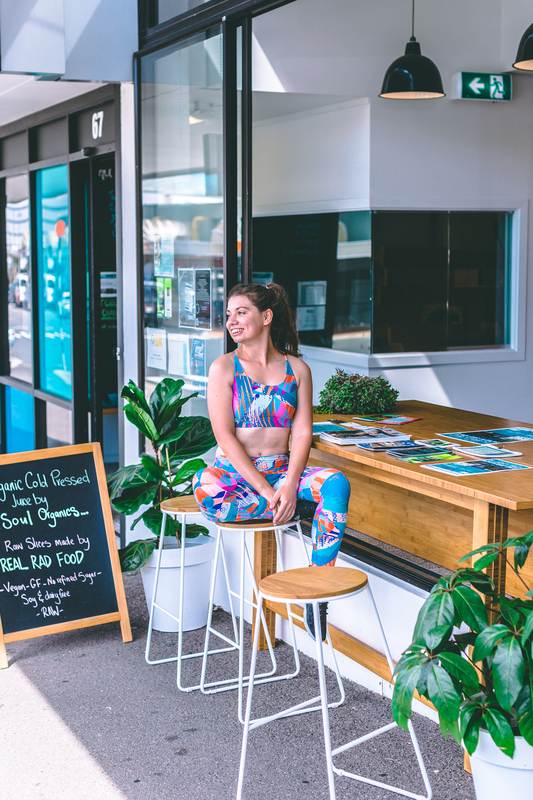 I also own their crop top in the same colour as leggings (‘Milagres’, in case you were wondering), that is wonderful for yoga and pilates classes. It wasn’t designed for high impact sports, so when I’m in a ‘killer beast’ mode, I still prefer my good ol’ Roxy crop top that is strong enough to curb a hurricane. 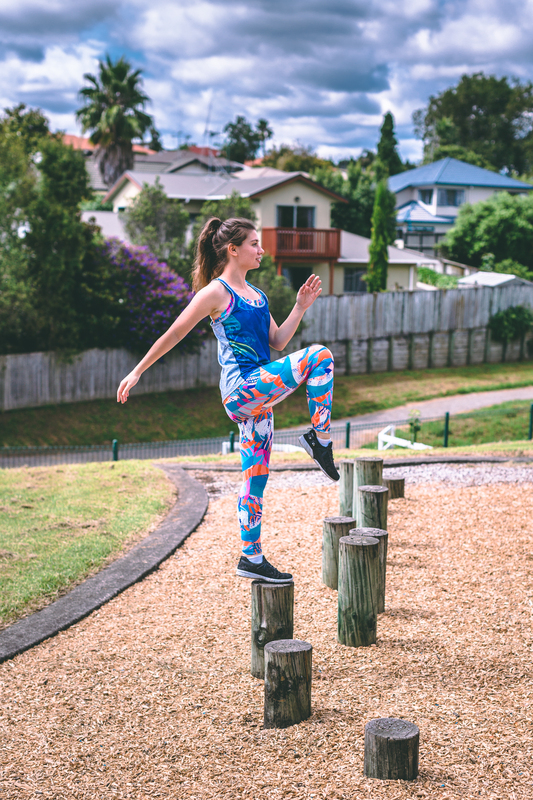 But I got distracted:) So here are my favourite workouts in Tauranga in random order. 1. Morning walks. Going for a walk is my personal type of meditation. I work from home now, so after kissing Alex, who is not that lucky, goodbye at 7.15 am, I normally go for an hour or so walk. It all started with a short stroll, but once I got bored circling the same streets, I started to create new routes and ended up walking 7-10 km with a short stop for some exercises at the Gordon Carmichael Reserve or kids’ playground (local kids know that weird jumping woman really well now and are not surprised to see me). I always do 80 lunges as a warm up and some jumping jacks / push ups / planks / side lunges once I reach my “outdoor gym”. I’m so in love with the area of Bethlehem where we live, with its quiet streets, lush greens everywhere, nature sounds. Having this awesome hour for myself helps to start the day right, to concentrate on things you have to do and to stay productive for the rest of the day. 2. Walking up The Mount. Living in Tauranga and not doing that every now and then equals a crime to me! Though I should admit I’m not doing it that often anymore. It was way easier when I was working in a walking distance:) But anyway, whenever we feel like going out on a weekend, we would always start with visiting Mount Maunganui summit. There are very special vibes around this place. All people are always super-sporty (way more sporty than I am! ), positive, wearing bright activewear, smiling. It is really encouraging and motivating. Mesmerizing views are definitely a great bonus. 4. Hybrid at Diego Health+Fitness. My latest discovery. It is amazing and so damn hard! After my first class I couldn’t straighten my elbows for three days! No exaggerations here. Thank God, it was easier next time:) Hybrid is a mixture of different training methods, that include cardio (we had to run around the block several times in one hour! ), TRX, kettlebells and your own bodyweight exercises. The fun part is that you never know what to expect. There are completely new challenges every time! Once we had to work in pairs, the next time we had to repeat exercises for one minute, crawling around in crazy mountain climbers, lungs, etc… Not surprisingly, I always feel like a squeezed lemon after this workout and struggle to get on the bus that would take me home, to my soft and welcoming bed where I would stay for the rest of the day:) Classes run Monday-Friday at 6 and 7 am, 12 and 1 pm, 4 and 5 pm. Learn more on Diego Health+Fitness website. These are the workouts I enjoy at the moment. But, as always, can’t wait to explore more of them. I have recently noticed pole studio around and can’t stop thinking about it now:) What are your favourite workout types? Let me know on our Facebook page!